The Olympic Peninsula is sparsely populated but important to Washington for its natural resources and for its attractiveness for visitors. Most of the peninsula belongs to the federal government and is contained in either the Olympic National Park or Olympic National Forest. 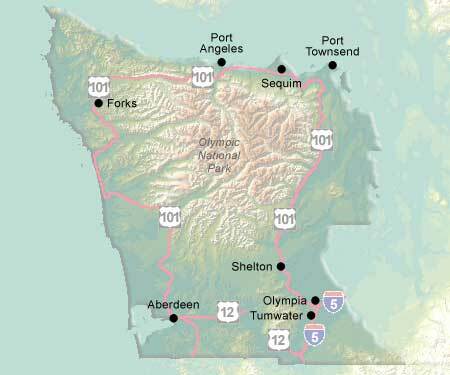 Population is concentrated at the northern edge in Port Angeles, Port Townsend, Forks, and Sequim. Grays Harbor marks the southwest corner, with its twin cities of Hoquiam and Aberdeen. Shelton defines the southeast corner and the transition to the Seattle/King County. Check out more attractions at Olympic Peninsula State Parks.